Children in Rome – Tours and activities for kids in Rome for ages 5-13, with options for kids only, or the whole family. Ancient Rome tours, culinary themed activities, and museum visits are among the options. Italian, English, French, Spanish, and Chinese language guides are available. Context Travel Family Tours – Context Travel’s Family Program takes a high-level interactive approach to engaging children and parents alike in the history, art, architecture, and culture of Rome. Tours include Ancient Rome Discovery, Vatican for Families, Underground Rome for Families, Galleria Borghese for Families, and an exploration of Raphael in Trastevere themed around myths. 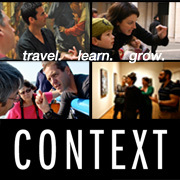 Context guides are academics and/or educators, which makes their tours particularly dynamic and expert. Teatro di Pulcinella Gianicolo – daily shows 4:00 p.m. & 7:00 p.m. + Sat. & Sun. 10:30 a.m. & 1:00 p.m.